There is no one in music quite like Mark Harrison. With his band, or in solo or duo form, he is widely considered one of the most original and interesting artists currently operating in the UK. 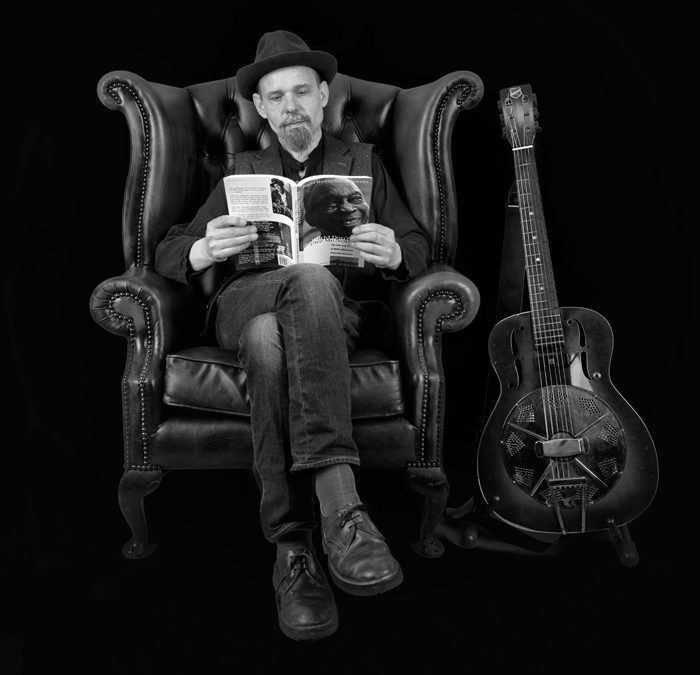 His highly individual, all-original music goes down very well with audiences of all kinds, and it has taken him and the band to some of the top venues and festivals in the UK, attracting acclaim wherever he goes. An in-demand live performer, Mark tours extensively. He has appeared at top festivals such as Celtic Connections, Bearded Theory, The Great British Folk Festival, Lakefest and Jazz FM Love Supreme and at prestigious venues all over the UK. He has released five albums which have been unanimously acclaimed across a wide range of areas of the music world, receiving a very great deal of airplay and highly enthusiastic reviews in the UK, Europe and the US. 2018 sees the release of Mark’s much awaited new album, THE PANORAMIC VIEW. Mark’s magnum opus, it is all set to bring him much wider recognition. Mark is a songster, and his songs cover all manner of non-standard subjects. With catchy tunes, lyrics than intrigue and engage, and striking rhythms, they make you smile, think and move. He takes elements of roots music, including folk, blues and gospel, to create something new that is very much his own genre. Each song is a snapshot of life or has a story to tell, like a 3-minute film or novel. Panama Dave Parrett is an instrumental guitarist with a unique style. His music, brilliantly executed, covers a myriad of moods and feelings, painting pictures as he goes. His latest album, Five, beautifully crafted and produced, is a must-listen. A seasoned live performer, his shows always have a big impact on audiences.